Matthew Halls studied music at New College, Oxford University where he was Organ Scholar and later Assistant Organist at New College. He graduated with a first-class degree and as the recipient of a British Academy Award was able to pursue further research interests into Historical Performance. During this time he was also a member of the European Union Baroque Orchestra and since leaving this group in 1998 he has worked extensively as a conductor and keyboard player throughout Europe, the Far East and North America. He is Associate Director of The King’s Consort and has directed this internationally-renowned period ensemble both in the UK and abroad. Recent performances have included the 2005 Vendsyssel Festival in Denmark and the 2006 Bermuda Festival. Matthew made his conducting debut in the USA with the Portland Baroque Orchestra, Oregon. For the New Chamber Opera he has conducted Handel’s Orlando, Amadigi, Alexander’s Feast, The Choice of Hercules, Il Trionfo del Tempo, Il Parnasso in Festo, and Acis and Galatea in addition to Purcell’s King Arthur, Pergolesi’s La Serva Padrona and Mozart’s early opera Apollo and Hyacinth. He has also directed John Blow’s Venus and Adonis at the Amsterdam Bach Festival with the Academy of Vocal Music, Amsterdam. Further engagements include a series of concerts in the UK with The English Concert and tours to Slovenia and Croatia with The Holland Baroque Society. 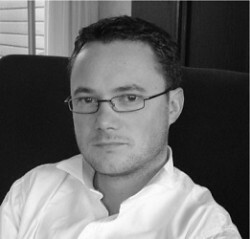 Matthew has worked in many of Europe’s leading opera houses as Assistant and Chorus Master. Productions have included Samson, Peter Grimes, Norma (De Nederlandse Opera), Alcina (the Komische Oper, Berlin), Luisa Miller, Peter Grimes (Nationale Reisopera), Calisto, Saul (Bayersicher Staatsoper) and L’Incoronazione di Poppea (Megaron, Athens). In 2006 he will be assisting William Christie on Dido and Aeneas (Wiener Festwoche) and Idomeneo (Brooklyn Academy New York) and in 2007 he will return to the Netherland’s Opera for Handel’s Hercules. As a keyboard player, Matthew has established a reputation as one of the leading performers of the younger generation of Baroque musicians. 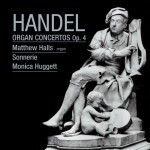 His recording of Handel’s Opus 4 Organ Concertos )AV 2055) has received unanimous critical acclaim. He has been a member of the Amsterdam Baroque Orchestra since 1999, participating in Ton Koopman’s major project to record the complete cantatas of J. S. Bach. He took part in Sir John Eliot Gardiner’s Cantata Pilgrimage in 2000 and has appeared regularly with ensembles both in the UK (The Sixteen, The Academy of Ancient Music and the Orchestra of the Age of Enlightenment) and further afield (The Theatre of Early Music Montreal, New York Collegium and Concerto Köln). He joined the renowned chamber ensemble Sonnerie in 2001 and he has performed at many major music festivals, including the Lamèque Festival of Baroque Music, the Nordic Baroque Festival, the Aldeburgh Festival, the York Early Music Festival and the Ottawa International Chamber Music Festival. Their recording of Handel’s Opus 2 Trio Sonatas was nominated for a Gramophone Award. Matthew also appears regularly with violinist Monica Huggett as a duo partner. As a concerto soloist he has appeared at the Enescu Festival in Bucharest, the International Handel Festival in Halle, the Cheltenham International Festival and the Frankischer Sommer Festival. In addition to his busy performance schedule, Matthew regularly teaches at the University of Oxford and is a tutor for the European Union Baroque Orchestra. He was for several years a member of the faculty for the Jerusalem Early Music Workshop and has taught at the Dartington International Summer School.